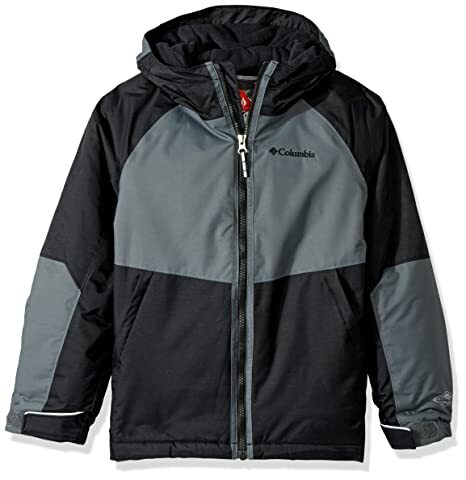 Columbia Infant and Toddler Size Chart Columbia Little Kids and Big Kids Size Chart The variable performance of the Bugaboo™ Interchange Jacket will have him cruising in comfort. OUTGROWN™ system adjusts with your growing child to extend the life of the garment. Three-point, zip-out Interchange System.Outer Softshell Jacket Omni-Tech™ technology:• Waterproof and windproof with critically sealed seams.• Highly breathable, three-layer bonded design.• Lightweight design reduces bulk. Removable storm hood with brim and drawcord. Fleece-lined stand collar. Hook-and-loop flap over full zip. Hook-and-loop flap chest pockets. Inner zip pockets and mesh goggle pocket. Zip hand pockets. Hook-and-loop cuffs. Droptail hem with toggled drawcord. Body and Lining: 100 nylon. 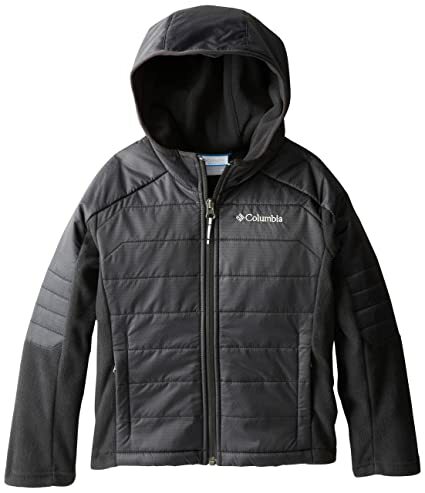 Machine wash and tumble dry.Inner Jacket Omni-Heat™ reflective lining:• Metallic lining reflects body-generated heat for improved warmth retention.• Backing dissipates excess heat.• Membrane comprises 65 of lining for high breathability. Soft, plush Dotswarm fleece. Stand collar. Full-length zip. Kangaroo hand pockets. Straight hemline. 100 polyester. Machine wash and tumble dry. Imported. Measurements: Length: 20 in Product measurements were taken using size 2XS (4-5 Little Kids). Please note that measurements may vary by size. 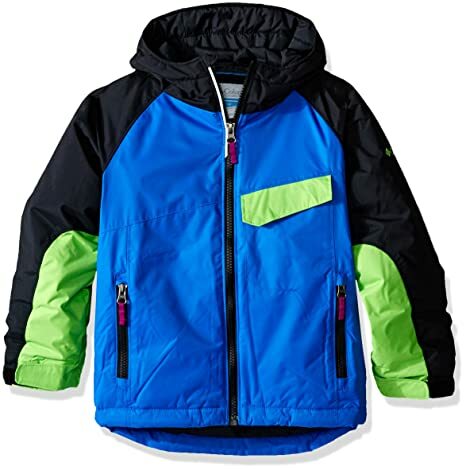 Columbia Infant and Toddler Size Chart Columbia Little Kids and Big Kids Size Chart A cold-weather classic with brand new prints and a fine-tuned design. Three jackets in one—a premium microfleece liner; a waterproof-breathable and critically seam sealed shell; and a combination of both—all to keep you warm, dry, and protected in cold winter weather. Omni-Tech® products provide premium waterproof and breathable protection by keeping outside elements from getting in, while still allowing moisture vapors to move away from the skin. Zip-in Interchange System. Removable, adjustable storm hood. OUTGROWN™ grow system. Zippered arm and hand pockets. Goggle pocket. Reflective detail for safety in low-light conditions. Adjustable cuff tabs. Shell: Omni-Tech® 100 nylon Legacy twill. Lining: 100 nylon 210T taffeta. Liner: 100 polyester 250g microfleece. Machine wash cold, tumble dry low. Imported. Measurements: Length: 22 1⁄2 in Product measurements were taken using size MD (10-12 Big Kids). Please note that measurements may vary by size. 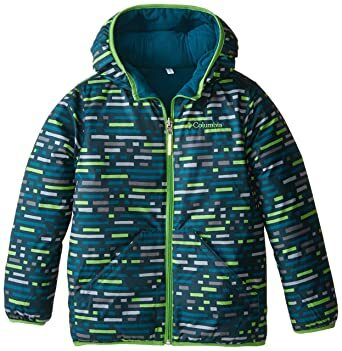 Adapted for our youngest customers, 450-fill-power down meets 100g of our superior synthetic insulation for one of the warmest, softest, and lightest-weight kid’s jackets we make. 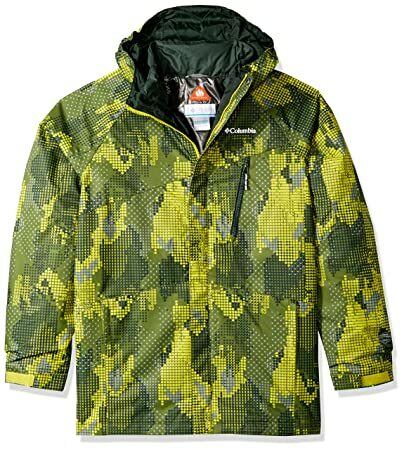 The water-resistant Gold 550 Turbo down hooded jacket features performance-enhanced down insulation for supreme heat retention, even when wet, while a thermal-reflective lining reflects their body heat for even more long-lasting warmth. This product is made with 100 responsibly sourced down. We are committed to ensuring the highest industry animal welfare guidelines. 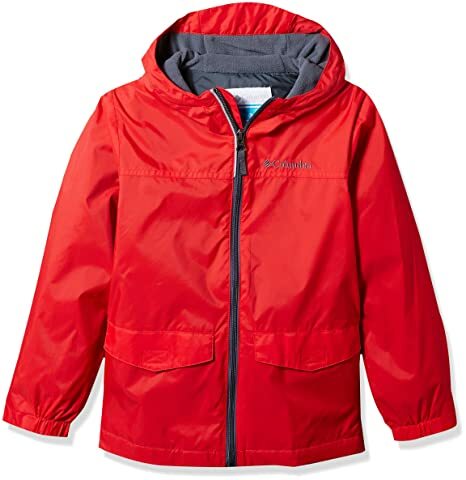 Featuring a soft and cozy fleece lining for bonus warmth, this lightweight everyday rain jacket comes in a tried-and-true waterproof nylon fabric that can stand up to the abuse of the trail and the playground. A chic longer cut with a curved hemline does double duty, providing both style and bonus coverage from the elements. The girls’ Razzmadazzle jacket is crafted from an exquisite waterproof poly shell fabric with 150G Omni-heat thermal insulation for exceptional lightweight warmth. Special outgrown cuffs extend to accommodate for growth over multiple seasons, while 360 degrees of reflectivity renders them safe and visible in low light conditions. 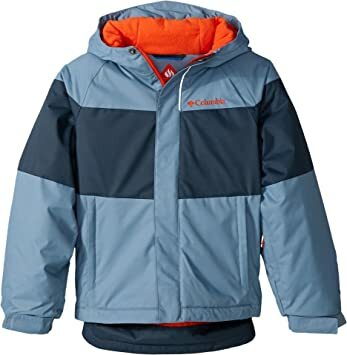 Columbia Infant and Toddler Size Chart Columbia Little Kids and Big Kids Size Chart A warm, waterproof winter coat built for rough-and-tumble fun, this jacket features progressive technology and all the bells and whistles to keep them warm and protected on the mountain. Regular Fit is an easy, lightly relaxed fit for comfortable range of motion. Omni-Tech™ shell:• Two-layer design with plainweave outer and waterproof membrane.• Waterproof and critically seam-sealed protection.• Breathable design allows passage of moisture-vapor from perspiration. 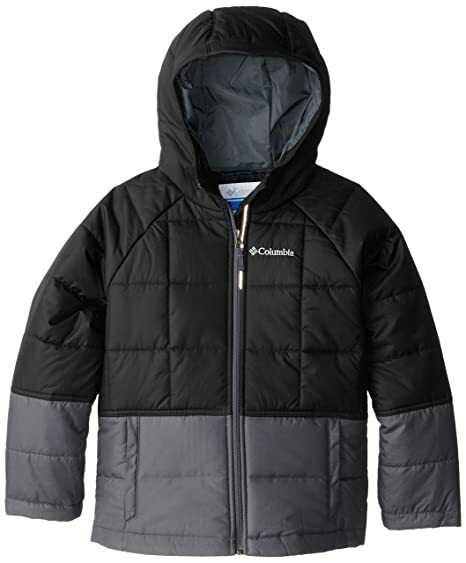 Omni-Heat™ reflective lining:• Metallic lining reflects body-generated heat for improved warmth retention.• Backing dissipates excess heat.• Membrane comprises 65 of lining for high breathability.• Complemented by microfleece lining through the collar and center back. 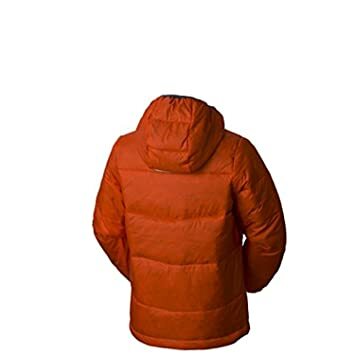 Microtemp insulation:• Polyfill insulation offers warmth without excessive bulk.• Crimped design increases surface area for improved warmth retention.• 100 g/m² fabric weight. OUTGROWN™ grow system allows you to extend the jacket cuffs to accommodate for growth over multiple seasons. 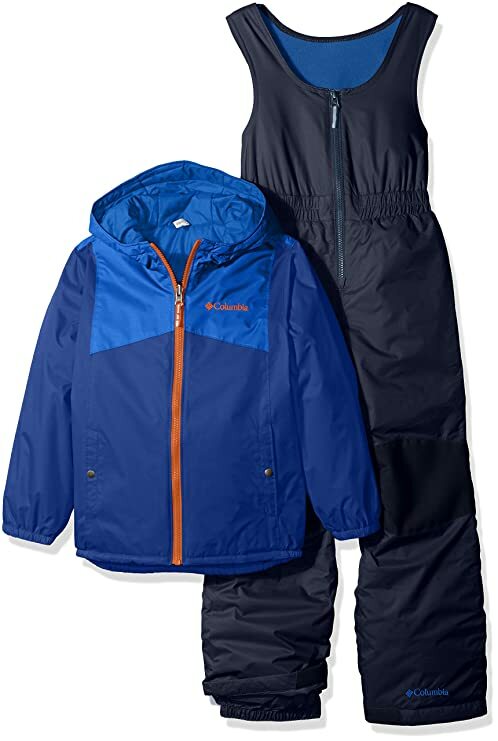 Attached, three-piece hood with elastic binding. Hook-and-loop storm flap over full-length zip. Long raglan sleeves with hook-and-loop tab cuffs with elastic back. Zip hand pockets. Inner, hook-and-loop Napoleon pocket. Inner, mesh goggle pocket. Inner, adjustable snap-back powder skirt. Droptail hemline. Reflective back stripe improves low-light visibility. 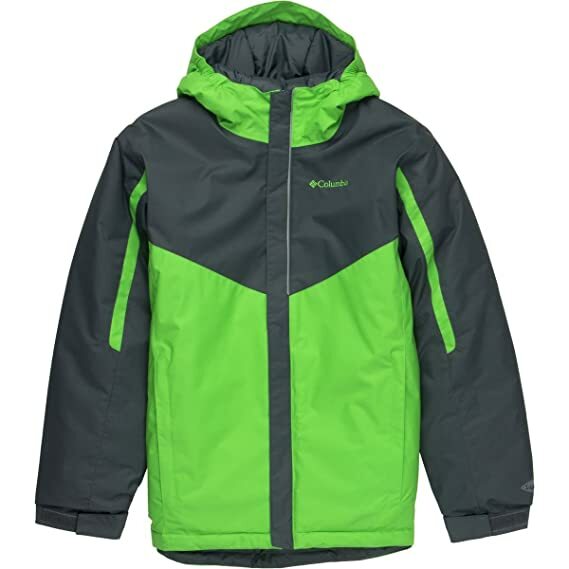 Body: 100 nylon;Fleece and Insulation: 100 polyester;Lining: 100 nylon. Machine wash and tumble dry. Imported. Measurements: Length: 26 in Product measurements were taken using size MD (10-12 Big Kids). Please note that measurements may vary by size. Ultra-light faux down for supreme toasty warmth with style. The dual front jacket is also treated with water-repellent Omni-shield technology to keep you dry and protected during wet weather. 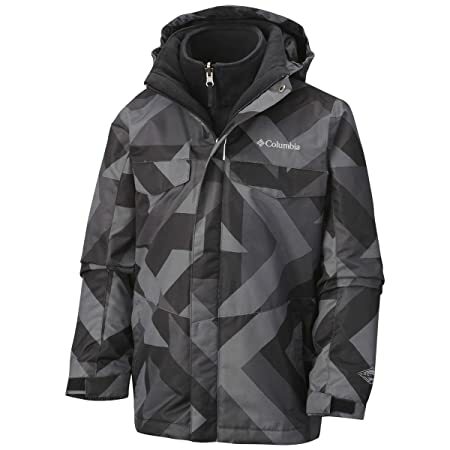 A toasty-warm insulated fleece with water-repellent protection in the rain strike zones (body, hood, and shoulders), the fast trek hybrid packs coziness, clean alpine style, and weatherproof performance. 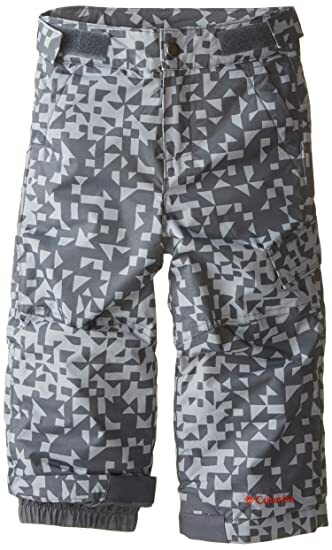 Columbia’s boys’ ice slope ii is a water-repellent, insulated pant with internal leg gaiters. Ideal for staying warm in cold conditions, these water-repellent, insulated pants have an adjustable waist and our outgrown system, so you can adjust the length to keep up with inevitable growth spurts. The internal leg gaiters and reinforced cuff guards lend extra protection and durability. When temperatures dip into the frigid zone, send them out in this ultra-toasty, water-shedding winter coat and worry not. 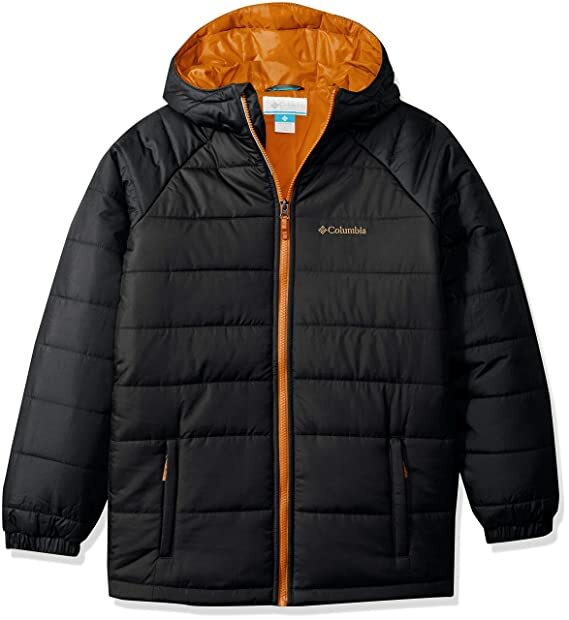 It’s crafted from a sublimely soft, water-resistant microbe shell material, with a whole bunch (240g) of toasty synthetic insulation to seal out the cold air. Traditional down-style baffling combines with simple color blocking and a pop-color front zipper for a sporty style they’ll love. 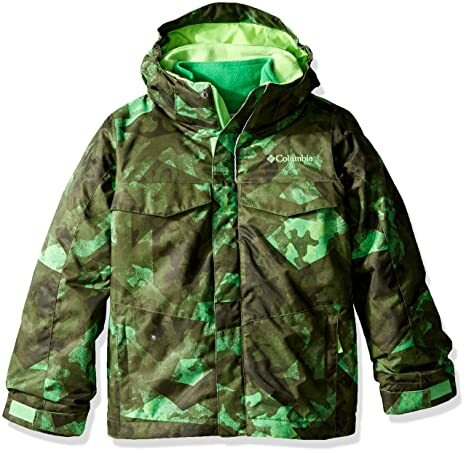 The Snow Pumped Jacket insulated warmth and waterproof-breathable performance aptly prepare little snow lovers for fun-filled days of tricks and turns, featuring mountain-ready features like a hood and media pocket, as well as special Outgrown cuffs that extend to accommodate for growth over multiple seasons. Material: Polyester, Nylon.